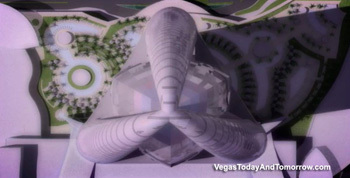 12/26/08 Will Crown Las Vegas be resurrected? Christopher Milam is back and has entered into a new agreement to purchase the 27-acre site for $618 million. His last agreement at $475 million expired in June of '08. No new plans were proposed. It is with regret I report that Crown Las Vegas is cancelled. According to The Sydney Morning Herald, Crown LTD (Australia’s largest casino operator) has considered Crown Las Vegas too big of a financial risk. The Property is now for sale. The land sits adjacent to Turnberry's Fontainebleau project (which is being partially funded by Crown). No, your eyes aren't deceiving you, the original proposal of Crown Las Vegas tower was a world-class "supertall", nearly twice the height of the Stratosphere. 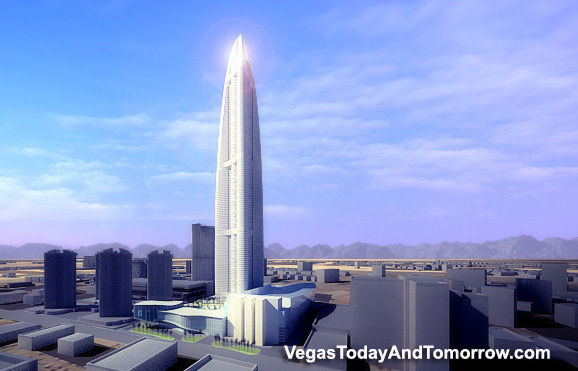 At 1,888-feet, it would have been the tallest building in the Western Hemisphere and a solid focal-point for the north Strip. Austin-based developer Christopher Milam proposed the $4.8-billion, 5,000-unit, 142-story, condo-hotel resort and casino, for the land south of the Sahara resort (the former Wet 'n Wild aquatic park). The project was conceived by Skidmore, Owings & Merrill and Steelman Design Group. With a new height of 1,064 feet, Crown Las Vegas needs to do a bit of qualifying to come up with a record breaking title for the hotel. 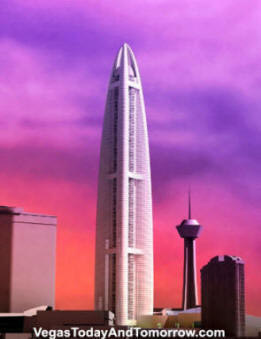 At 1,064 feet, it will qualify as the tallest hotel tower in the USA. 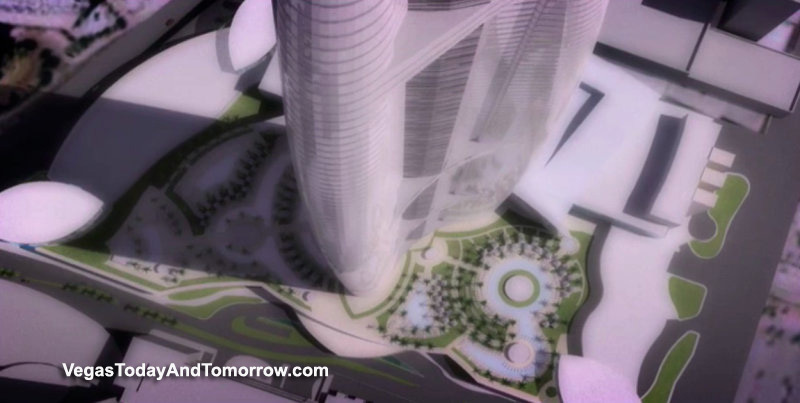 The reduced height may cause the developers to split the 5,000 planned rooms into two towers. No renderings yet. Well, it looks like Vegas is not getting the western hemisphere's tallest building, not from this project at least. 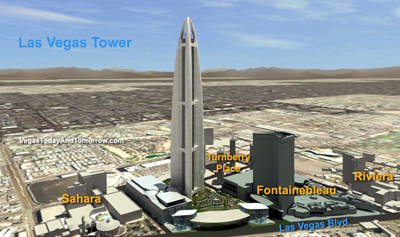 Today, the Federal Aviation Administration denied the 1,888-foot Crown Las Vegas tower. Milan is poised to resubmit an application with the FAA for approval of a shorter, 1,150-foot redesign. 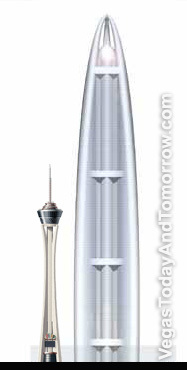 That will make it one foot taller than the Stratosphere and make it the tallest building in the western U.S. If built at the proposed height, the Crown Las Vegas would be nestled between the Sahara and the upcoming Fontainebleau Resort, dwarfing everything around it.